While attention is focused on City Centre to Mangere Light Rail and the potential to uplift the City Centre (especially in terms of population and employment) (see: Auckland city centre: transport capacity and access trends. Final report) closer to home there have been musings to how Auckland’s largest Metropolitan Centre and Node would pan out in terms of employment and population as its own major transit line makes its way through the area. 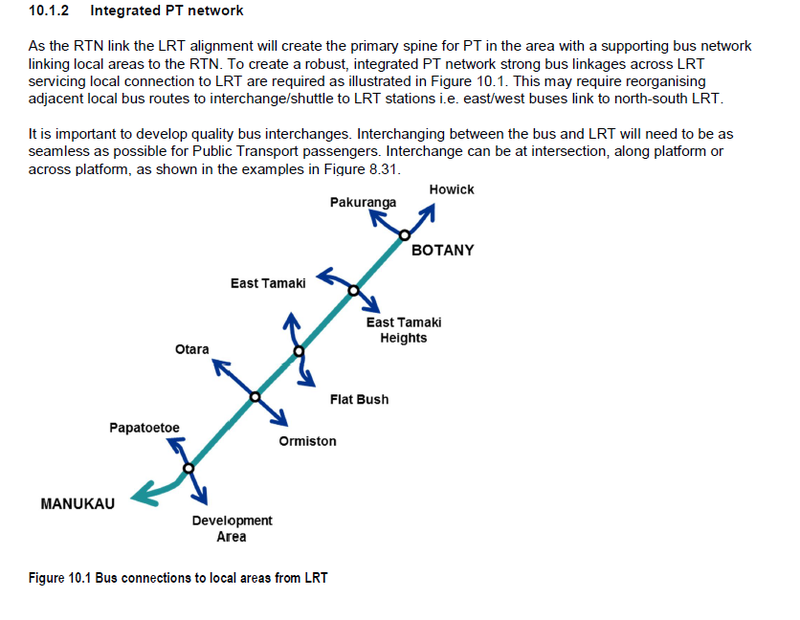 That transit line is Airport to Botany Rapid Transit (done in two stages), the area is the 600 hectares known as Transform Manukau or Our Manukau. The role of Our Manukau (being delivered by Panuku Development Auckland) is to boost the population, and employment offerings in Manukau (a Node under the Auckland Plan) while also undertaking urban regeneration, making better use of under utilised land and connecting it all up to the Rapid Transit Network! The Our Manukau Framework Plan sets out in a clear manner the goals of what, when and how the urban regeneration of Manukau will be undertaken. This includes the future population of the Our Manukau area housing some 20,000 residents and around as many jobs. I always personally thought that was Panuku being conservative and it seems the Transport, Housing and Urban Development Minister Phil Twyford is thinking the same. It has been mused that the 600 hectares that consists of Our Manukau could house 100,000 residents (without touching the heavy and light industry to the west of the area) with plenty more jobs to go around as well. I thought to myself that is five times more than what Panuku estimated but could it be done without touching the industrial land west of Druces Road and Puhinui Stream? The answer is yes it can and it will not mean high-rise buildings all over the place either. So the question is where do the dwellings go, how will people move around and how does the amenity be maintained (which right now is coming off a low base) for these 100,000 residents? When you add the bus station and proposed Light Rail station just to the right of the rail station the 800 metre circle also captures Pacific Gardens/Rise/what-ever it’s called now with the 33 Great South Road and 362 busses able to capture Rata Vines and the south-east corner of the Our Manukau Area. Once Light Rail goes in (whether it is via Lambie Drive or Cavendish Drive to the existing transport interchange) the stations on (what becomes the Airport to Botany Rapid Transit)(the) line also have their 800 metre radii coming into effect as well. Basically all of Our Manukau is captured by at least one 800 metre catchment area. As for the TODs themselves I usually work them to an 800 metre maximum radius with a 200 metre and 400 metre set of radii inside that 800m max radius. 800 metres is traditionally the walk up catchment of a station or stop thus the 800m catchment is where you would do high density developments to make most use of the that station and its catchment. However, if the station is traversing through a low or medium density area (like Te Irirangi Drive and Puhinui Station does) then making the entire 800 metre radius catchment dense development is going to give scale problems. Enter the 200 and 400 metre radii marks. 200 metres from the station is where you would do your most dense developments with the developments scaling down between the 200 and 400m mark and again from the 400-800m as the development transitions into the surrounding urban form. For stations inside Manukau City Centre like the Manukau Central Station where the 800m radius mark is taken from the 200, 400 and 800m rules I would work a bit differently given stations inside Manukau City Centre will have overlapping 800m radii. Your 400m and 800m radii still mark the transition of your urban form down as the Metropolitan Centre Zone phases into lower density zoning such as General Business, Mixed Use, Terraced Housing and Apartments or Light Industry just like you word normally with any TOD. 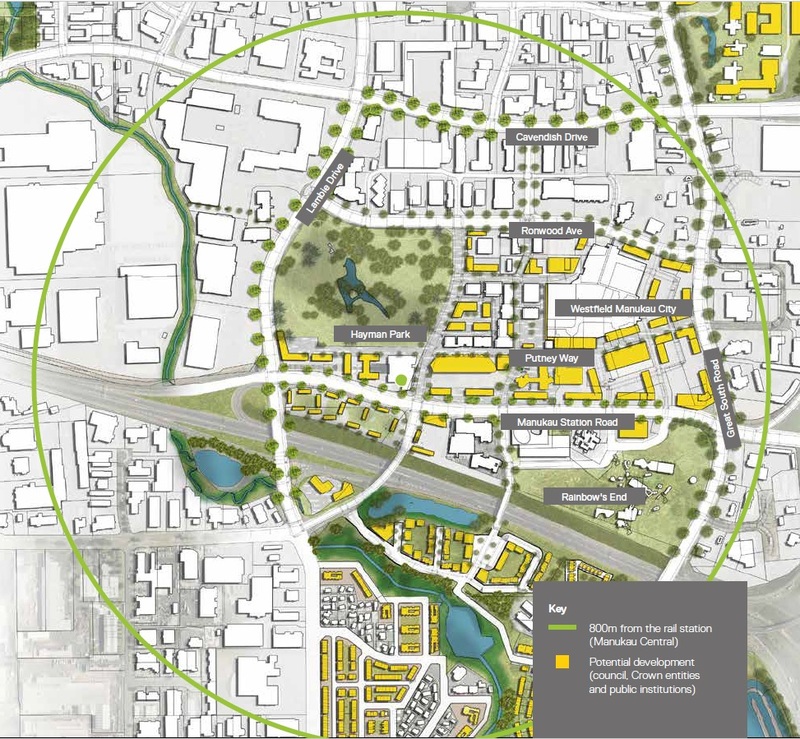 The 200m radius where some of the most dense urban form might be found especially around Manukau Central Station is where I would focus niche, boutique and even artisan class types of urban form to both be an magnet to Manukau as well as give Manukau its sense of place unique to the City as a whole. To further encourage this artisan type urban morphology around Manukau Central Station using the Gold Coast’s idea of transit malls and Panuku’s humanising of Manukau Station Road and Lambie Drive would certainly not go a miss. All this couple with the Minister’s intention to pass a National Policy Statement that removes height and density rules on areas within 800 metres of a transit station and you have a blank canvas to work with in Manukau to deliver appropriately scaled urban developments to help drive towards the 100,000 resident mark. 100,000 people inside 600 hectares means some serious amenity will be needed to draw in residents and more to the point keeping them there. Giving priority to transit, cycling and walking inside the Our Manukau area also means they are likely to shop and even possible work inside said area meaning less car trips – often across the City (hello Climate Change). Remember it is not just about plopping down a transit line, some apartments, maybe a park or two then calling it a day, it is also and fundamentally about the human element as well (see: #TransformManukau – Missing the Human Element. Part 8 of the Manukau City Centre – The Transform Series). Key Move 2: Creating a Vibrant Heart in Manukau. Can 100,000 people fit inside the Our Manukau area? Essentially yes with a bit of work around our Planning Rules (that National Policy Statement), some transit and amenity investment and finally some rezoning to the north of the Our Manukau area (mainly Lambie Drive). Having Light Industry zoning between Lambie Drive and the Great South Road north of Cavendish Drive is not the most productive use of land for the northern area of Our Manukau. Not when commercial and residential uses have crept into the area for the last decade! Rezoning for Mixed Use that allows commercial and residential to a height of 25 metres or around 6 storeys (I am aware of the flight path) to develop as the market sees fit. Puhinui Gateway to the west of Our Manukau is zoned Light Industry so we do have land available for industry that might be displaced (what little is left of it there). 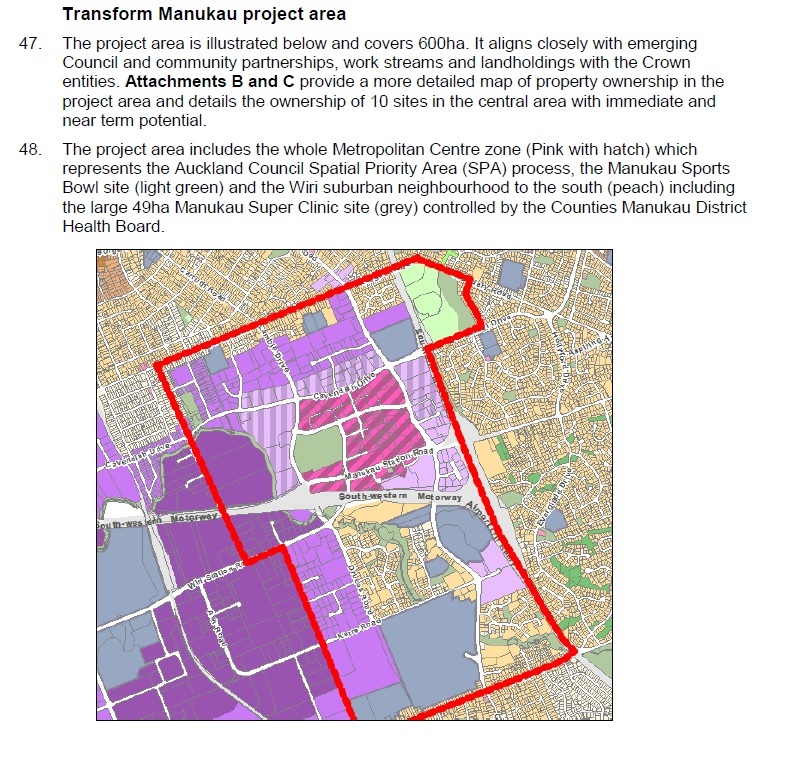 100,000 people in Manukau by the end of the Our Manukau plan (30 years)?